Today was a big day in the history of my little library. A day long anticipated. We began our project of moving our bookshelves closer together, so that we can put in one or two new units in the space we’ve got. 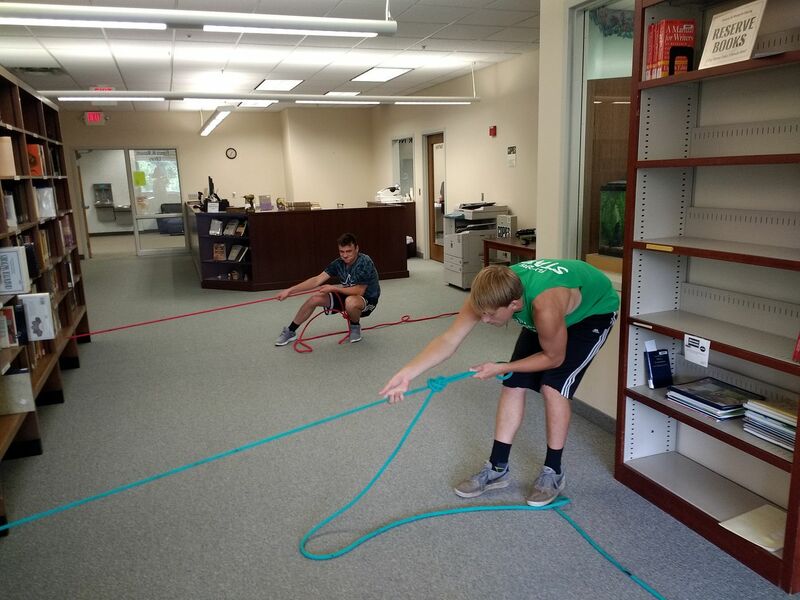 The minions of our Maintenance Department at the schools came up with an ingenious system for clearing one unit at a time and sliding them over a few feet using boards and ropes. And it works. So far. I’m fairly sure the pyramids of ancient Egypt were constructed in much the same way.